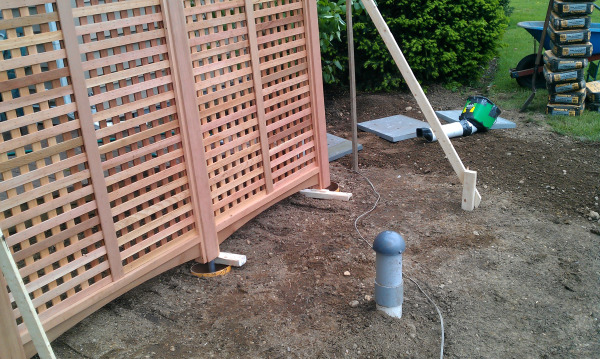 TGC's install team demonstrates how to pour concrete around a custom built cedar trellis. Creativity goes a long way to help preserve the integrity of the client's investment. Once the garden is planted, the trellis will be highlighted by rugged perennials and flowering shrubs that will offer vivid color throughout the growing season.